Information Architecture is a web design and development technology that advocates the structuring and shaping of websites in such a way as to enable and enhance findability and usability. In simpler terms, information architecture is about organizing the often complex sets of information in a website into a comprehensible and ordered structure.As we set out to understand more about Information Architecture, let us start by learning about its two most important outcomes – findability and usability. The findability of the content in a website or any of its pages is the ability to be found using search engines, through referrals or from within the website itself through site searching, looking and asking. This is the primary goal of information architecture. Ordered information always ranks higher on search results and is easily discoverable. In fact, it is almost impossible to improve the findability of a website without improving its information architecture. Usability or User Experience (UX) is usually the combined result of a website’s User Interface (UI) and its Information Architecture (IA). The relationship between UI and IA varies with individual websites. In some cases the user interface of a website is designed using pre-defined information architecture; in others, a website’s structure might be changed to incorporate a certain user interface. It’s also important to note that since Google’s algorithms place great value on user experience, it can decide a website’s rankings and the results page it appears on. As in all major endeavors, the very first step in building an information infrastructure is a period of contemplation during which website owners, advisers, developers and designers come together to decide and define the direction of the website. A few points to get clarity on during this phase is the company’s business model, its brand strategies, its objectives, its target customers, the needs and requirements of these customers, and how these needs are being served at the moment. This is the first and the most basic level at which information architecture can be implemented. This is before the wireframing or mapping stage, during which a definite structure is engineered for the website. A site structure should clearly define a website’s various page levels, priorities, categories, hierarchies, links, sub-links, and how they lead to each other. Once the essence of a website’s hierarchy is formulated, the next step is to implement it through its design and layout in such a way as to offer a natural flow of information and ease navigation. For example, new information should always be introduced; CTAs should be highlighted; old information should be organized and then detailed. This can be done through page folds, breadcrumb navigation, overlay texts, pop-ups, table of contents, and site indices. Accurate labelling of your links and pages has a significant effect on implementing effective information architecture. Website owners should make sure to use consistent terminology across the website. Additionally, using appropriate alt texts for images and anchor texts for links helps search engines index and comprehend them better. The next step in imparting structure to a website is through content. This can be done by including appropriate titles, header tags and paragraphs to effectively guide visitors to different sections. You can further improve the information architecture of a website by writing unique schema mark-up languages and meta-data for each of your pages. 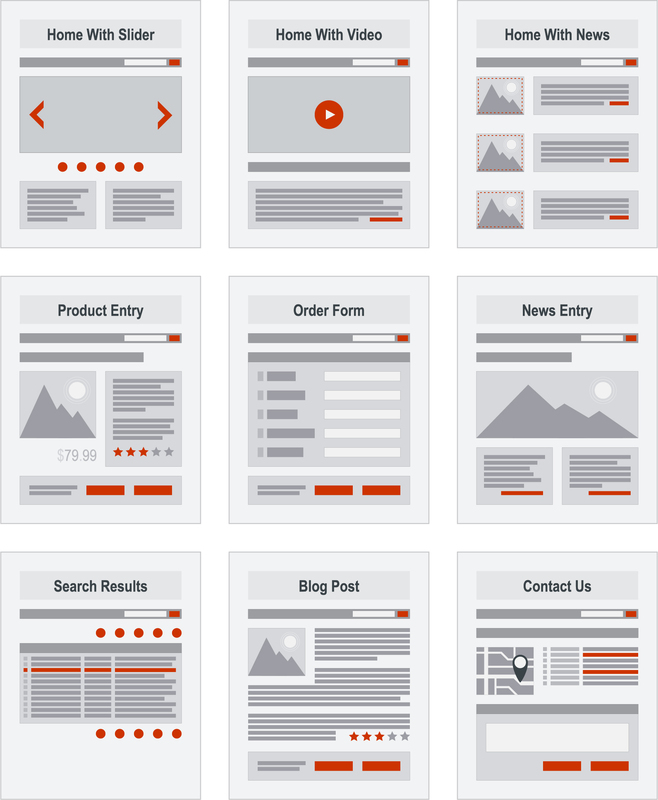 This helps visitors distinguish your pages and understand how each page can help them. It’s important to note that information architecture is not restricted to search engines, but also extends to other technologies that help users find what they are looking for in an information environment. Cognitive Design is a new and upcoming method for outlining information architecture and implementing the various stages we discussed above, using cognitive psychology. 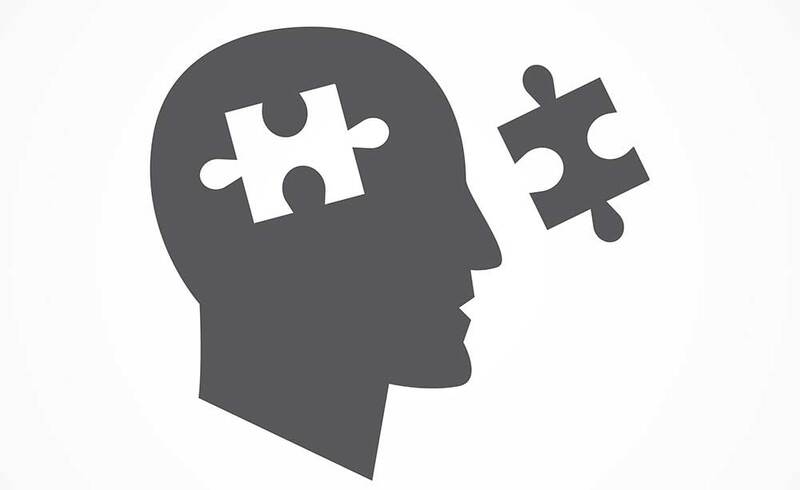 Cognitive psychology helps us understand how the human mind works, how it seeks information and how it responds to certain sensory input. It also helps us isolate and understand design, content and layout philosophies that are most comfortable to the human eye, allowing website developers to manipulate their designs and content to be more receptive to users. Cognitive psychology helps us formulate how much information should be presented to visitors, at what time and where. There is only a specific amount of data that an ordinary human mind can hold forefront at a given time, and unless it is prepared to receive more, it will reject all new information. One way of translating this into web development is how new visitors should be presented only with a limited amount of content at the home page. Larger chunks of information should be held behind links and folds, and be made available to users only if they are actively seeking it. Over the years, scientists have isolated designs and layouts that the human mind is most comfortable working with. Any content or information that is presented using these layouts is readily and easily received. One example of this is how the human eye always starts seeking new information on the leftedge of any page, while ignoring most content on the right. This is the reason why in most websites home logos, menu buttons and product category links are left aligned. Important links should be placed at locations where visitors are most probably going to look for them. Websites built using cognitive design suggestions would be more comfortable to readers and therefore, more receptive. And while it’s always good to stand out and be different in your designs and content, it should not be at the price of being at odds with your customers’ mental models. Another area where the knowledge of cognitive psychology might prove helpful is in urging and guiding visitors into signing up or making purchases. This is made possible with the use of strong and persuasive Call to Actions and by presenting specific information at key points when readers are most prone to take action. There is a common saying among car salesmen that “you can’t sell it if you can’t tell it”. Never have these words been more relevant than in this age of digital marketing. Essentially, if your customers are not able to find you, they cannot buy from you. The success or failure of any business today is very often directly proportional to its rankings in search results. Which is where SEO comes in. At its simplest, search engine optimization or SEO is the art of improving the ranking of a website in search engine results. It is also the one factor most positively affected by implementing improved information architecture. Let us explore how. 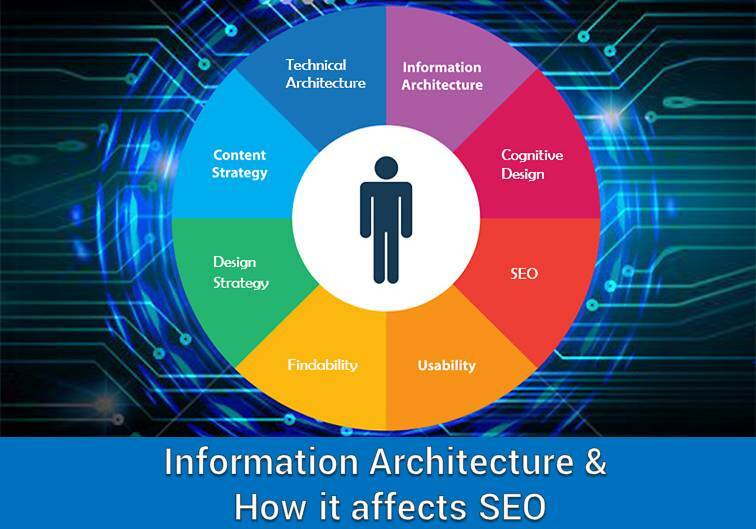 How Information Architecture affects SEO? For long, site architecture was overlooked as a factor affecting SEO. Thankfully, this has changed in recent years. The advancement of analytics technology has proven, with tons of evidence, how information infrastructure can help a website improve its findability through search engines. Websites with a clearly defined and effective site structure perform better and rank much higher in search results. 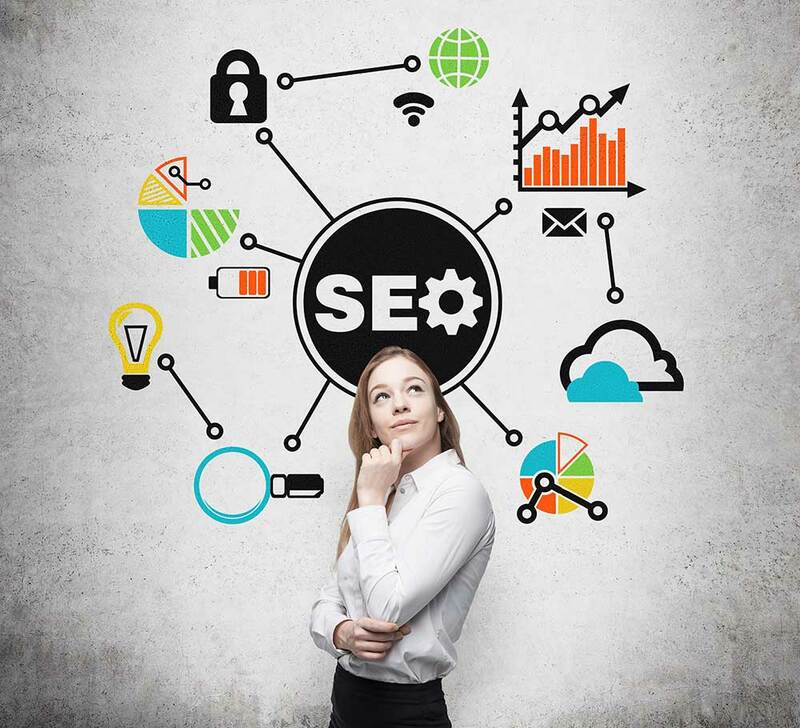 Following are some of the major benefits of information infrastructure on SEO. As powerful as Google’s crawl bots are, they don’t always automatically discover all the content on a website; and unless Google has the website and its contents indexed, they don’t show up in search results. Information infrastructure is one solution for this. By implementing a well-formed and strong site infrastructure and sitemap, website developers can help their pages become better discoverable, indexable, and crawlable by search engines. Earning backlinks for all your pages is also another effective way to get indexed by Google. Since effective information infrastructure means that a website has a clear and defined structure that makes it easier for visitors to navigate through and find information, it ensures a better user experience, and therefore more time on page and lesser exit rates. If your website has a well-defined information structure and its links are clearly and comprehensively labelled to easily guide users through, Google’s algorithm might recognize this and award you with sitelinks. Sitelinks are a sub-list of your most visited webpages that appear along with the primary result whenever someone searches for your website on a search engine like Google. The presence of sitelinks increases your brand’s reputation and improves trust among customers. The technical architecture of a website is the “back-end” hardware and software configuration that enables its information architecture. It includes the framework of a website, its hardware and software server configuration, the programming languages and the database software that it’s built on. Website structure is a combination of Technical Architecture and Information Architecture. Essentially, technical and information architecture are like two sides of a coin. While it is the required information architecture that decides the type of technologies needed to power the website, it is also important to note that unless an efficient technical architecture is in place, effective information architecture cannot be implemented and the website would not be able to offer a good user experience. At the end, it is very important to remember that any form of information architecture should be formulated with the target user in mind. What most website owners still fail to understand is that users don’t visit a website to be impressed by its extravagant graphics or beautiful copy. Visitors arrive at a website, either directly or through searches or referrals, looking for solutions for a specific problem they have. Find what they are looking through searching and browsing. If you are an individual or a business looking to better attract and engage with your clients online using powerful, effective and attractive websites, we at Global Media Insight, can help you out. With over 16 years of experience in digital technologies and social and digital markets, we excel at driving engagement by optimizing your business’s online appeal, reachability and connections. Get in touch with GMI to establish effective and robust digital marketing strategies that span platforms and channels.